Veteran journalist and producer Mike Willesee, the man who popularised current affairs on commercial television in the ‘70s and dominated the genre for more than two decades, is returning to television to join the Seven Network’s Sunday Night. 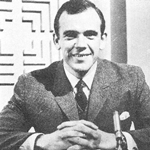 Willesee, a reporter and presenter of Four Corners and This Day Tonight for the ABC back in the 1960s (pictured), was the first host of A Current Affair when it debuted on Nine in November 1971. Although serious current affairs had been done on commercial TV before it was still largely seen as the domain of the ABC, though Willesee and A Current Affair in its original form did much to change that perception. 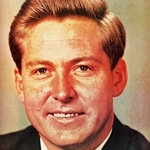 He later left Nine and had a stint as news and current affairs director at the 0-10 Network, where he also presented a weekly interview program, before joining the Seven Network in 1975. At Seven he hosted the first Australian version of This Is Your Life and then the long-running nightly current affairs program Willesee At Seven. 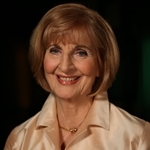 The program claimed victory over A Current Affair in the then 7.00pm current affairs battle when ACA was axed in 1978. Although Willesee At Seven (later to become Willesee ‘81 and Willesee ‘82) ended early in 1982, he had handed over the host role to Derryn Hinch in the show’s later stages while he produced documentaries for the network. He returned to Nine in 1984 to revisit the nightly current affairs genre with Willesee as well as producing specials for the network, winning a Logie for Most Popular Documentary in 1986. Willesee was the predecessor to the revival of the A Current Affair brand when Jana Wendt took over as host in 1988 – with Willesee later returning as a guest host on occasions before taking over as Wendt’s successor in 1993. His interview with then Liberal Party leader John Hewson is said to have lost the Liberals the 1993 federal election by highlighting the confusion over their proposed Goods and Services Tax (GST). He has twice hosted the TV Week Logie Awards, first for the Ten Network in 1983 and then for Nine in 1986. In 2002 he was inducted into the TV Week Logie Awards’ Hall of Fame for his contribution to television news and current affairs. Willesee joining Sunday Night will give it some added clout up against Nine’s Sunday night flagship 60 Minutes in the two networks’ perennial battle in news and current affairs. Sunday Night, with host Chris Bath, returns for 2012 next Sunday, 5 February, at 6.30pm on Seven.